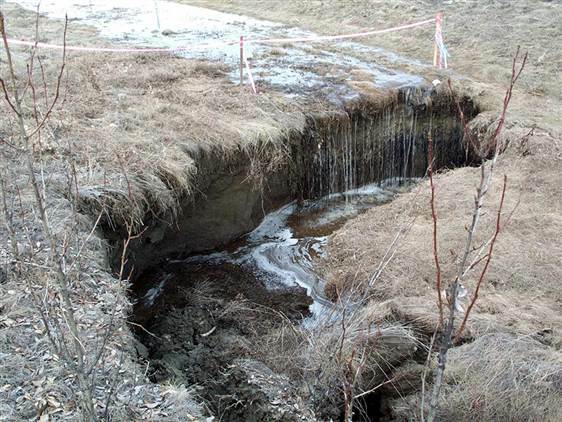 Vladimir Romanovsky, a permafrost expert at the University of Alaska-Fairbanks, has been monitoring the ice in Alaska since emigrating from Russia in 1990. 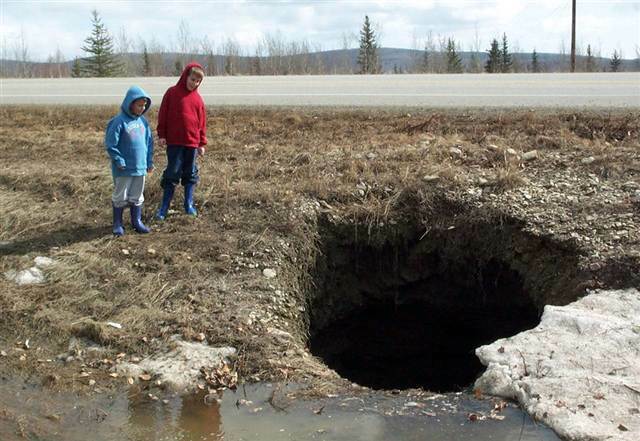 In this series of photos taken in and around Fairbanks, a city built on permafrost, he shows some examples of the effects of thawing soil. 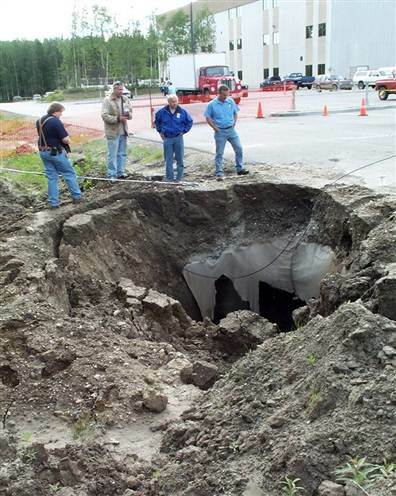 This entry was posted in Pictures and tagged Alaska, Permafrost, sinkhole. Bookmark the permalink.